An elegant and innovative new tent from Hearthworks combining the beauty of a traditional Tipi with the practicality and usability of contemporary design. 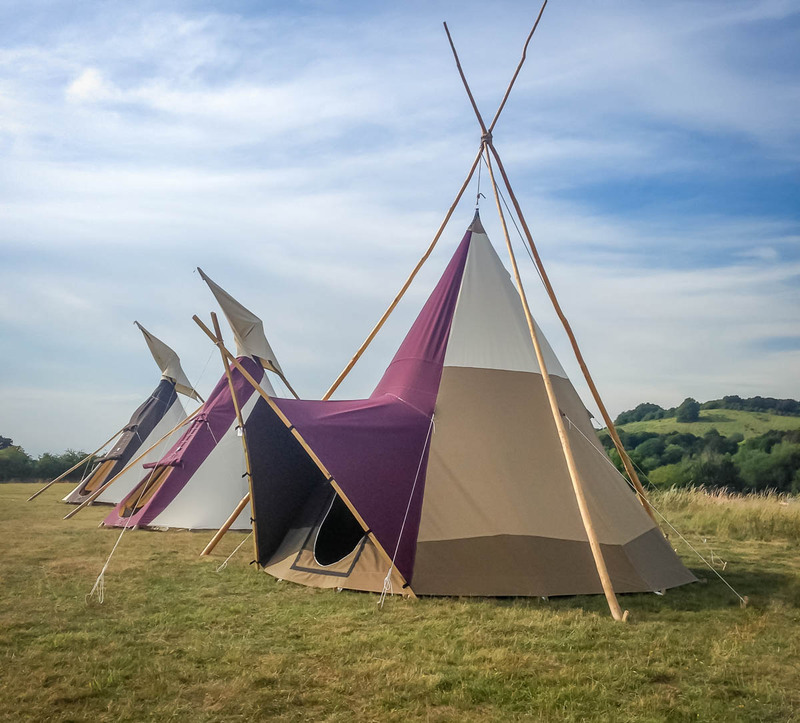 Developed by our manufacturing team in-house, the Hearthworks TriLodge is a Tipi-shaped tent with a funky porch, suspended from a tripod of wooden poles. The interior is spacious enough to accommodate a family of four or a group of friends, and is equally suited to being a romantic luxury tent for a couple. 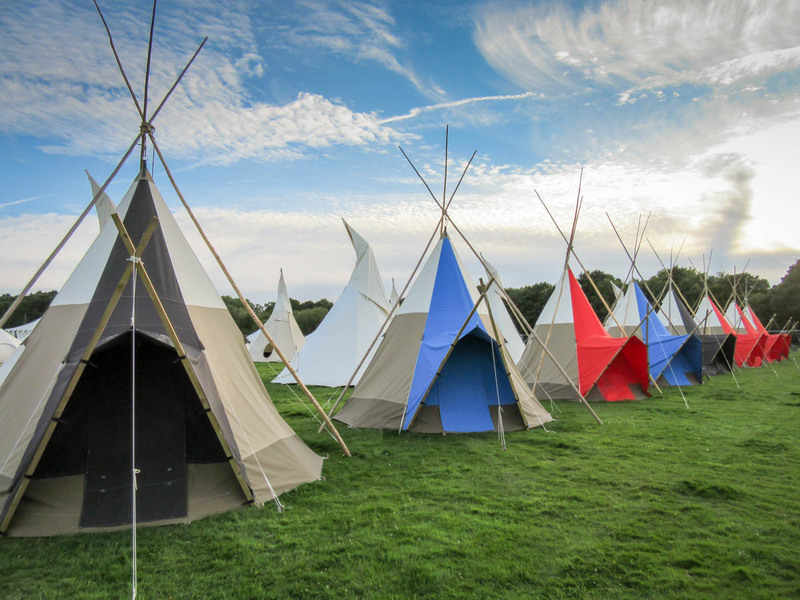 The tent is suspended from the sky above the with its external tripod, making it lighter to transport, and easier to install than a traditional Tipi. The TriLodge has a unique integrated porch and groundsheet fitting system, making it totally watertight and flood proof. Although, unlike the traditional Tipi, it is not suited to an open fire in the centre, the TriLodge can be fitted with a Wood-burning Stove to keep you cosy and warm. Without zips to fail or excessive knots to tie, the set up system is simple and fast. Storm loops allow additional guy ropes in the event of gales or extreme weather. The beauty of the high and unobstructed space in the interior without the need for any internal central pole, makes the Tripod Tipi the perfect tent for 21st century luxury camping. Graceful, durable, breathable and practical.